When the cubs revealed last term that they had a voracious appetite for pioneering, I needed no second bidding. 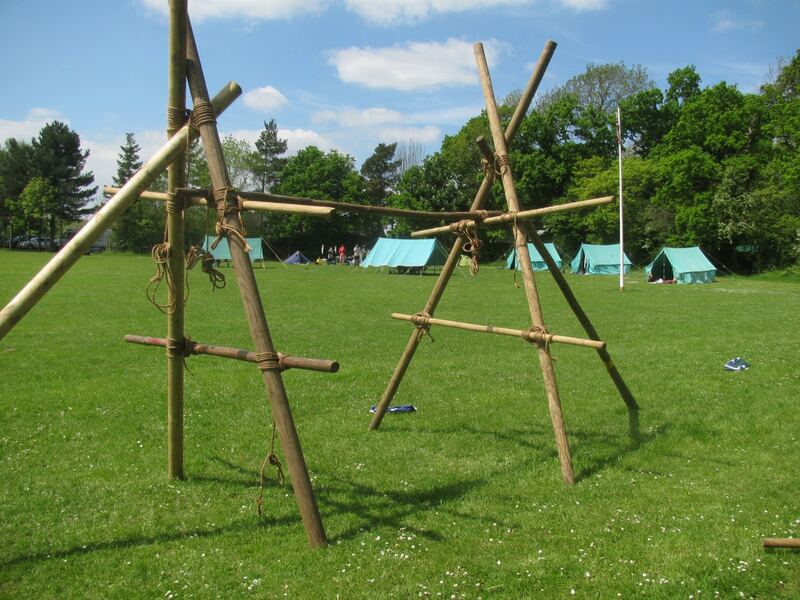 This term, they’ve been developing their skills in knotting and lashing and have become pioneering experts. Early in the term, we spent an evening refreshing ourselves on some knots and some basic lashings, and put this into practice by building some A-frames. Camp gave us an opportunity for a more ambitious project: a grand gate for our campsite! 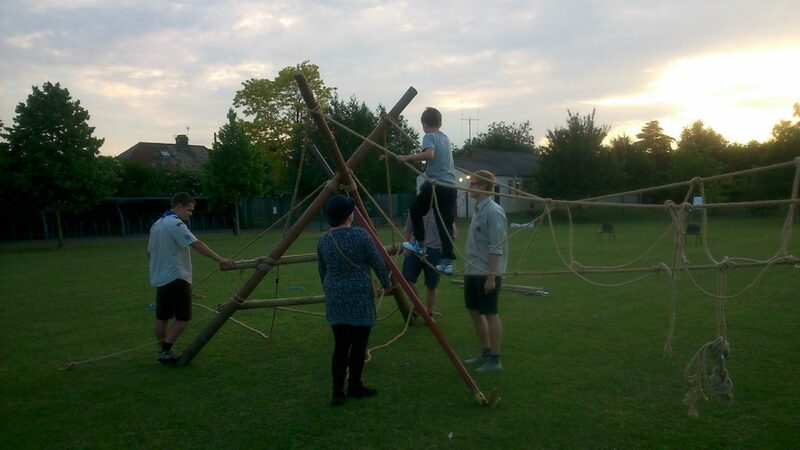 Then this evening, we took things to another level, literally, with a rope bridge. I’m pleased to report that all cubs made it safely across the river! This entry was posted in Cubs News, Featured by Rikki Tikki Tavi. Bookmark the permalink.